Apple recently announced Apple Card, a new kind of credit card built into the Apple Wallet app on iPhone. Customers can sign up on their iPhone and get a digital card in minutes that can be used anywhere Apple Pay is accepted, in stores, in apps, or online worldwide. Apple is positioning the new Apple Card is a revolutionary credit card experience, which is only possible with the power of iPhone. Its noteworthy that they are highlighting the experience aspect of the card. As the fine print appears to mirror many competitive offerings. Apple are continuing to bet big on their ability to differentiate the experience. 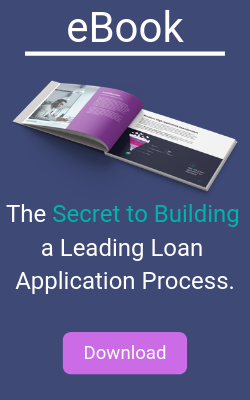 The application process is simple, with no fees and a higher level of privacy and security. When the customer applies, a unique card number is created on the iPhone and stored safely in the device’s Secure Element, a special chip used by Apple Pay. Every purchase is secure because it is authorized with Face ID or Touch ID and a one-time unique dynamic security code. Apple is upping the ante when it comes to alternative banking services providers, leveraging its mobile penetration and partnership with Mastercard to handle payment processing. By offering users a seamless onboarding experience, with no fees, competitive interest rates, and attractive rewards program, Apple is poised to take the credit card niche by storm. Traditional banks and credit card issuers have good reason to be evaluating new approaches to onboarding their customers. With Apple’s focus on mobility and simplicity, it’s clear that other issuers must reevaluate their readiness. The new battleground has been set and speed and simplicity just got a boost as Apple will push the industry towards products and services that are designed for the mobile customer.